Our free, full-color catalog is created and mailed once a year to folks who request them or have recently purchased from us. 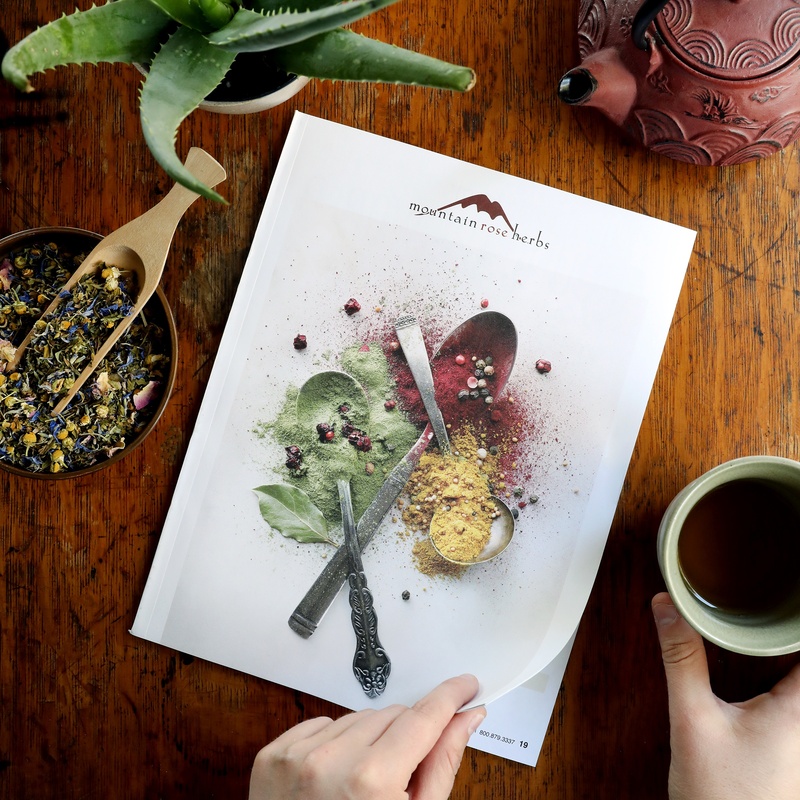 Easily browse all of our herbal offerings, get exclusive behind-the-scenes stories, and enjoy an array of botanically inspired recipes. Our catalog is printed on FSC-certified, post-consumer waste paper using a chlorine-free and low-VOC process. Not a single tree was cut to produce it. While we hope you’ll keep it around for awhile or share with a friend, we encourage you to compost or recycle this catalog when you’re through. Do you live in Canada? If so, please contact our customer service department directly and we'll ship one to you! **Unfortunately, we are unable to send catalogs to California residents. We apologize for any inconvenience, but due to new Proposition 65 laws, we are required to inform California customers of Proposition 65 warnings before a purchase is made. Because these warnings are not present in our catalog, we are unable to send paper or electronic catalogs to California residents at this time. You can always visit our website to place an order online, or give us a call (800.879.3337) and one of our customer service representatives would be more than happy to assist you! We can be reached Monday - Friday from 8AM - 4PM Pacific Standard Time.